This passage of Scripture reminds every pastor of what they are called to do daily in ministry. The calling is no different in student ministry. We have a responsibility to prepare our students for the work of ministry, building up the body of Christ in the process. My favorite part of this passage is found in verse sixteen as it speaks to each joint being equipped, working properly, and helping the body grow as it should. This should be the goal of every student ministry, to help equip their students do the work of ministry so that they can work properly within the body and see the body of Christ grow as it should. This brings up the question of when do we let upperclassmen lead in our student ministries? This is a question that can invoke many different responses. Most of those responses are valid, but too many times we as leaders stand in the way of equipping and allowing students to effectively lead in our ministries. 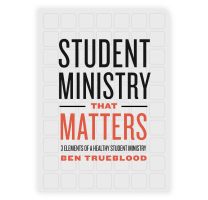 It is important to understand that every student who professes Jesus Christ as Lord and Savior is called to ministry. This needs to move us to think about ways to allow our upperclassmen to lead in our ministry. We must do our best to prepare them, equip them, encourage them, and even help them fail in a safe and secure environment. 1. Allow them to serve in your weekly worship service. 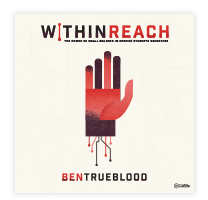 Set up leadership teams such as audio/visual, setup/take down, activity team, worship team, and small group leaders. 2. Allow them to mentor and disciple middle-school students. A big brother or big sister mentoring program is a great solution. If you have spiritually mature upperclassmen use them to help disciple middle school students for a semester. 3. 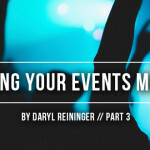 Allow them the opportunity to plan, prepare, and execute ministry activities and events. It is important for upperclassmen to understand the praying, planning, and preparation that go into the student ministry. Once you allow them to pray, plan, and prepare, allow them the opportunity to execute their plans. This gives them responsibility for what happens in the ministry. 4. Allow them to serve in different areas of the church. Encourage your upperclassmen to serve in different areas of your church such as children’s ministry, greeters, ushers, parking lot attendants, or other areas. It exposes them to different areas of the church and keeps them from just viewing the church from the student ministry perspective. 5. Allow them to teach in different settings within your ministry and church. Help them prepare a lesson, study a lesson, and then give opportunity to teach in small groups, weekly worship services, or other Bible studies. 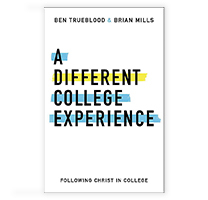 This allows them to grow in their understanding of Bible study and equips them to be able to do this when they leave your ministry, move to college, and enter young adulthood.